Dr. Fines was born and raised in Minot. He pursued chemical engineering at University of Minnesota, where he was in the honors curriculum. He received his Doctorate of Dental Surgery (D.D.S.) from University of Minnesota in 2003, where he was ranked fourteenth of eighty-six in his dental class. While pursuing his dental degree, he held various leadership positions such as vice president of the local American Student Dental Association and volunteered at the Gospel Union Mission (a homeless shelter in St. Paul). Dr. 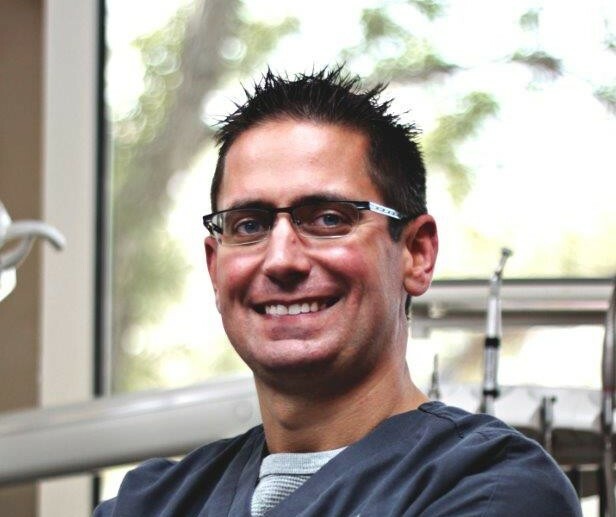 Fines joined Evergreen Dental in Fargo in 2005 after associating for a few years. He is a graduate of the Misch International Implant Institute (www.misch.com). He is ready to challenge the fellowship exam in the International Congress of Oral Implantology. He likes to keep up on the latest dentistry that is available by taking many hours of continuing education. He currently volunteers at the Red River Valley Dental Access clinic (a safety net clinic for the Fargo/Moorhead area). In his free time, he enjoys spending time with his family and friends, wakeboarding at the lake, hunting, downhill skiing and playing hockey. © Copyright 2007-2017 Evergreen Dental.